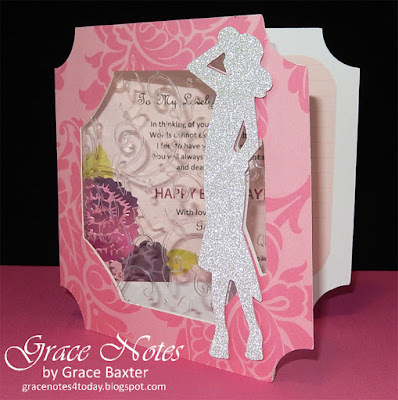 For the feminine woman who loves pink, flowers, birds and sparkle, this card knocked it out of the park on all points. Two Fall birthdays in my family are for women I dearly love; my sister and my daughter. I made two different versions of the card to suit their individual personalities. Here is the first one. I've been making a lot of cards lately with various kinds of windows. For this large window style, the inside has to be just as pretty as the front. Card size is 5-3/4" square. The window is a sturdy acrylic that I embossed with birds and leaves (perfect for my gardener recipient). The cardstock I used for the front frame and inside verse are both from DCWV Cherry Limade Stack. The selections in this book are all beautiful -- some have foil accents, some have glitter. Sparkly model on the front is cut from DCWV Glitzy Glitter, and it surely IS that! The hardest part was choosing one from the many great options! Light shining through the "glass" reflects swirly branches and birds. Wishing you a sparkling, beautiful day! Grace this card is stunning, I thought it was mine for a minute! You did great. Thanks for sharing today at She's A Sassy Lady! I thought I commented on your beautiful card when you first posted. I'm seeing it again with your second window card and just had to tell you how beautiful it is. Thanks for taking time to comment. I check them every day! If you would like me to contact you, please leave your email address. Note: spam comments are not approved. If you follow my blog or know me at all, you will soon realize that I spell certain words differently from what you are used to seeing on most web sites. This is because I am Canadian and I am a spelling NUT. It drives me crazy when things are misspelled. So naturally, it would rub me the wrong way to purposely leave out letters from words that I know need them. Canadian spelling is actually a blend of British and U.S. The contents of this web site including all text, graphics, photos and design ideas are my own. If you use any of my designs, please provide a link back to this blog page. If you use my poems in any way, would you please comply with copyright rules and give credit by providing a link back to this page if posted online: gracenotes4today.blogspot.com. If you use my poetry for UNPUBLISHED projects, please type a byline under the poem's title or somewhere in the description stating Grace M. Baxter as the author. Thank you. Follow Grace Baxter's board Grace Notes For Today on Pinterest. Click the cloud to go to my music on Sound Cloud. I appreciate my followers. 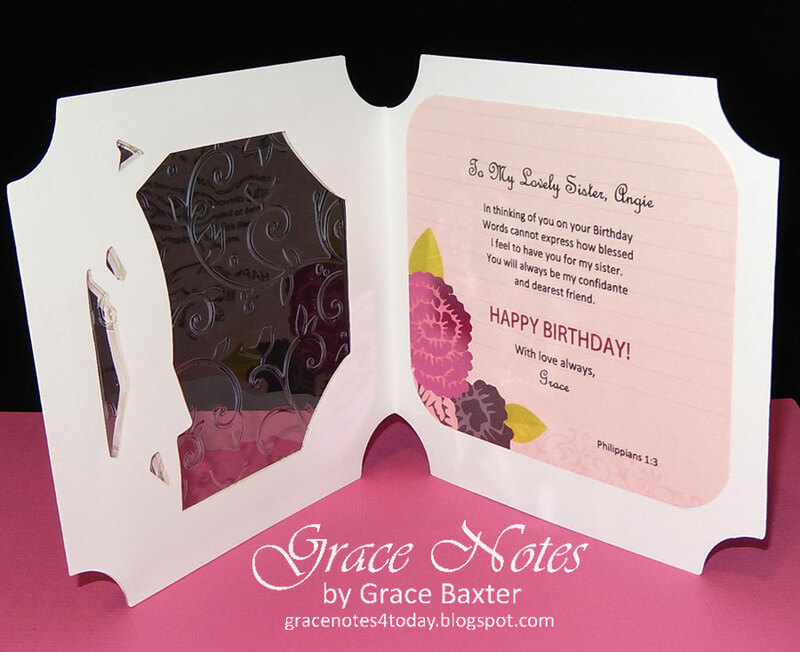 So, to say "thank-you" I frequently provide step-by-step instructions on some of my most popular cards. Yes, there are other places to see my cards: Pinterest, Twitter, Facebook and Bloglovin. 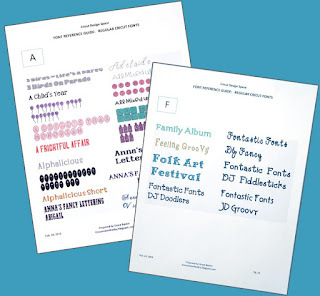 But THIS IS THE ONLY PLACE where followers can request free PDF instructions for projects. Join the fun! When you become a new follower, please say 'hello' so that I'll know who you are and can welcome you! IF YOU WANT ME TO REPLY TO YOUR COMMENT, PLEASE LEAVE ME YOUR EMAIL ADDRESS. It's the only way I can get back to you. I guess you might call me a "right brainer", loving all things creative. 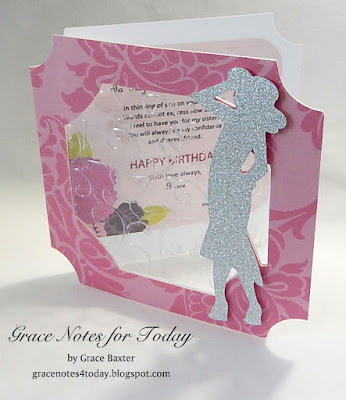 Cardmaking is the perfect hobby for me as it allows me to be totally creative, combining design with poetry or verses I can compose myself. Be sure to check out my Christmas blog, "It's All About Christmas" which features all my Christmas items. I hope you'll drop by often and stay awhile! Copyright Grace Baxter 2018. Picture Window theme. Powered by Blogger.